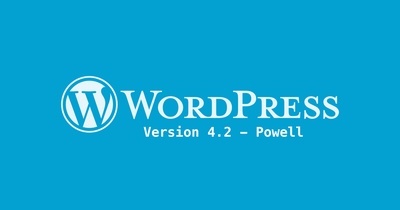 Pianist Bud Powell is the latest jazz legend to be honoured in a long standing tradition, with the latest WordPress version 4.2 donning the name “Powell”. This version adds and improves a wide variety of features, with the general focus being on simplifying and polishing the workflow of content sharing and publication. We’ve spend some time with the new version and thought we’d share our experiences on the latest offering from the world’s premiere content management system. This is a nifty little tool making sharing content the absolutely easiest it’s ever been. Available from the Tools menu from within WordPress, simply add the app to your desktop browser bookmarks or mobile device. Then when you’re surfing the web and you find media you want to share, open bookmarks, select “Press This” it then opens the media a window to edit and publish directly to WordPress. That’s it, its actually that simple. I was expecting some configuration and some trial and error; nope, it just works. Its not going to be long before this becomes the best friend of bloggers and content aggregators across the web. As anyone who’s changed between themes on a live site knows you really only have two options: copy the entire site into a development environment for testing, or just make a live change and hope nothing breaks. Now there’s a third option with live theme previews. From the Appearances menu you can view live previews of any of the themes installed in your WordPress instance with just a single click. 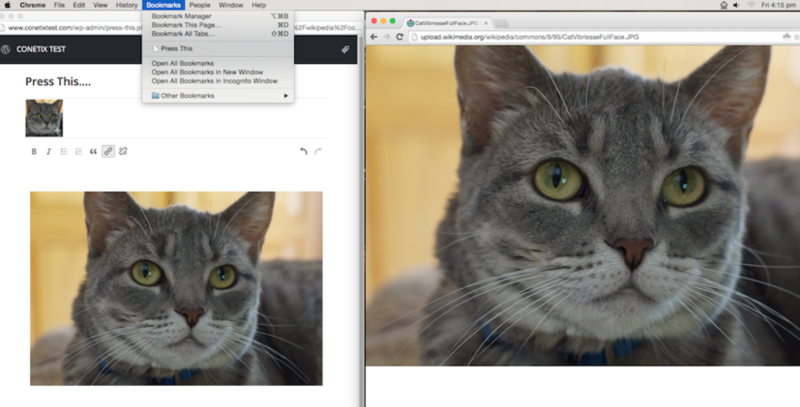 And the previews are full browser width so those using responsive themes can view how its going to look when resized. This is a really forward thing move for WordPress because by empowering users with the ability to easily experiment with updating their site appearance and functionality without having to even think about what will power the site under the hood. This effectively moves the conversation from “what platform will I build my next site in?” to “what will my next WordPress site look like?”, and one that theme developers are sure to love. Also on the topic of themes, the new WordPress version release co-insides with updates to all the free default WordPress themes, so if your site is build using one of those themes be sure to check those out too. 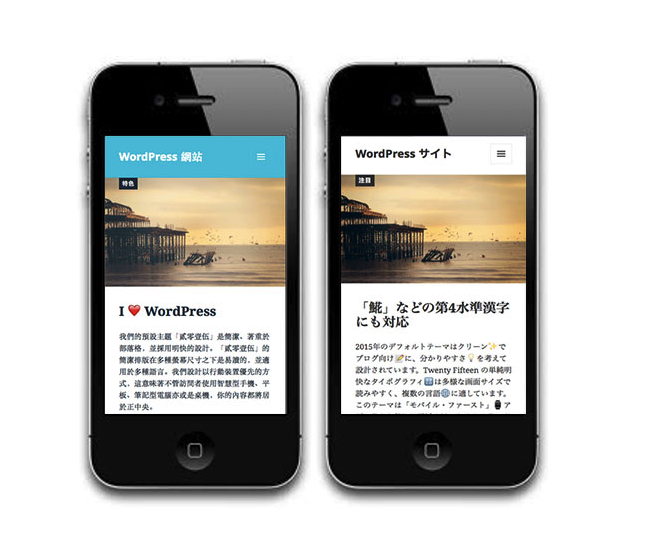 Catering for the needs of new regional markets, WordPress 4.2 now contain pre-installed by default a number of special character, most notable are native Chinese, Japanese, and Korean characters. Also included are emoji’s, and while its easy to overlook this addition, I think this speaks volumes how WordPress sees itself in relation to its user base. WordPress began as a tool of communication and self expressions, originally developed as blogging software. In recent years volumes have been written of the importance of fonts and characters in web design. And when rolling out updates its easy to have things like this slip from the “nice-to-have” list to the “maybe-next-time” list pretty easily. But little things like this add up to make WordPress more versatile for communication, more fun for users, and more polished as a product. The way plugin updates is now displayed during updates has changed. For most people updating plugins is just another task that is part of maintaining a WordPress site. Previously, when updating plugins, users would be taken to a separate screen where they would receive technical updates of what was going on under the hood, which for many wasn’t useful information. Now when updating plugins through the Plugins menu, it updated directly through the plugins window, which makes the process much cleaner and simpler. However, if you’re like myself and want to see the the progress of the plugin updates and what is occurring you can see what’s going on when updating the plugins via the updates window. Prior to publishing this article I was able to successfully update several WordPress sites all running 4.1+ with no issues, including using the new WordPress management tools integrated into Plesk 12. 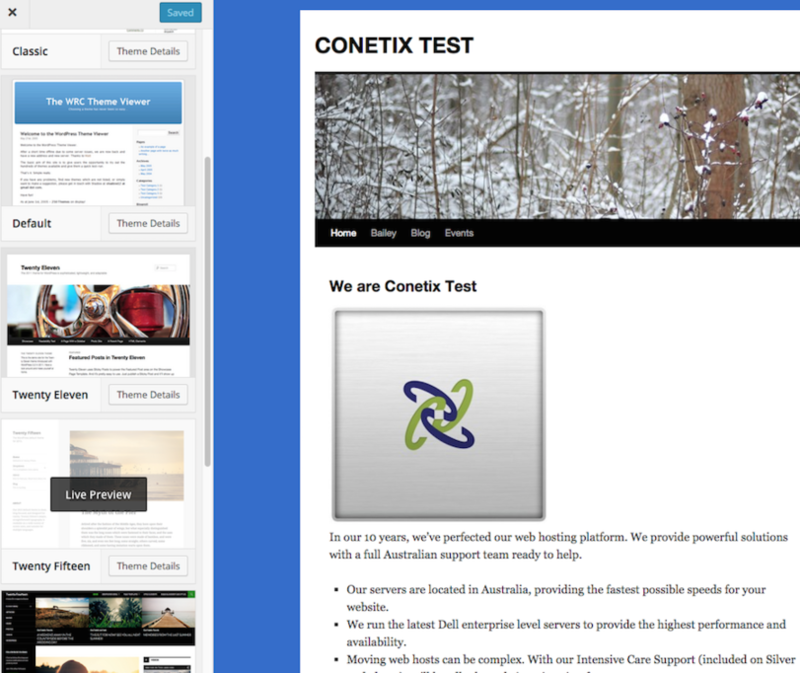 For customers on our Managed WordPress service, this latest update will be rolled out to you in the coming week.